In May, Mike DelPrete caused eyebrows to be raised in estate agency when he claimed that call-centre agents (incorrectly labelled online agents by some**), as a sector, had increased their market share of new listing to 7.1% from a previous (relatively) steady 5% or so for the past year or two. However, in his latest release, covered in Estate Agent Today, his research shows a 24% reversal in fortunes in the call-centre sectors share as a whole. At a glance, DelPretes’ data does not appear to take into account properties that have been multi-listed by some agents (portal juggled) but, nonetheless, demonstrates that the call-centre agency model is struggling to gain the massive, sustained growth in market share it has long promised as a sector. There could be a number of factors at play in this dramatic drop much of which could be further bad publicity over the model and its chief players facing negative press from ASA rulings and consumer programs but predominantly on social media with Purplebricks, in particular, facing a daily barrage of complaints and abuse from unhappy customers which may be affecting other players in the sector by association. *7.1% in May to 5.4% in June = 1.7 percentage point, a drop of 23.94% Source EAT as referenced in the article. **It is incorrect to state that call-centre agents (those without high street offices) are online, as almost all estate agents are online’ with high street agents having been so in the main since the early 1990s’. 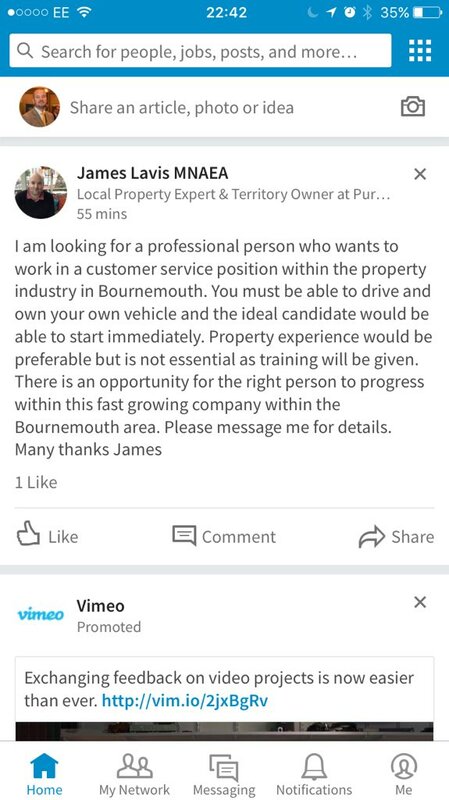 A more accurate and less confusing description of the YOPAs’ eMoovs’ and Purplebricks brands then, is “call-centre”. Is now a good time to put my property up for sale or rent? Don’t worry too much if interest levels are dropping in your home at the moment; it happens every Year. Here is a graphic illustration of when people search for ‘property’ and ‘estate agent’ on Google. However, if you ARE thinking of selling, now can be a great time to put your home on the market. THE PEAK PROPERTY INTEREST SEARCH DAYS OF THE YEAR are the few days after Christmas day and the New Year. Make sure your home is already uploaded with a good agent in order to capitalise on that SURGE! About Chris Wood: Chris is an estate agent with over 25 years of property experience. His business, PDQ Estates Ltd is based in Penzance and Helston, West Cornwall. He has worked with all sizes and types of businesses from single office independents to the management team and board of RBS and Tesco. A former President-Elect of the NAEA and board member of NFoPP until he resigned in 2009, Chris has always championed the highest professional standards for estate agents in the UK. No stranger to the media, he has appeared on various programs including BBC, News 24, ITV, independent and BBC radio and is a regular contributor to trade journals, local and national Newspapers. Chris is on KloutLinkedIn Ecademy Facebook and Twitter and lives in Penzance.